Dean brought in his 2010 GT-R for a complete rebuild using the AMS Alpha 9 Package. 5150-Racing built the motor using JE Pistons, Manley Rods, and Supertech Valves, Springs, and Retainers. 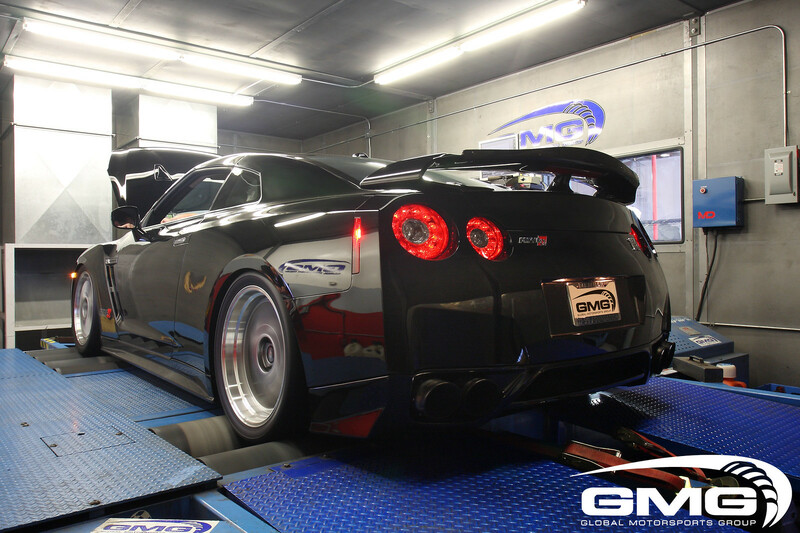 Master Tuner, Jon Drenas tunes this GT-R using both 91 pump gas and C16 Race Fuel using a Mustang Dyno. Mustang Dyno's are known as the "Heartbreak Dyno" and on average read about 13% lower than a typical DynoJet. Love your car! Sounds mean! Cool bud. I don't want to know how much C16 costs haha.